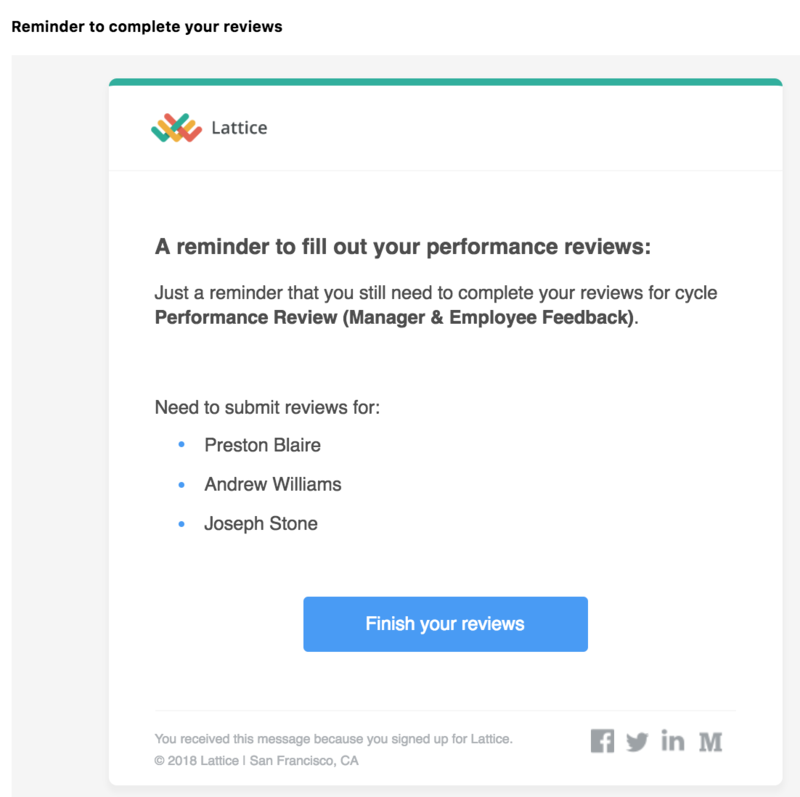 It's easy to remind your employees to finish their reviews. 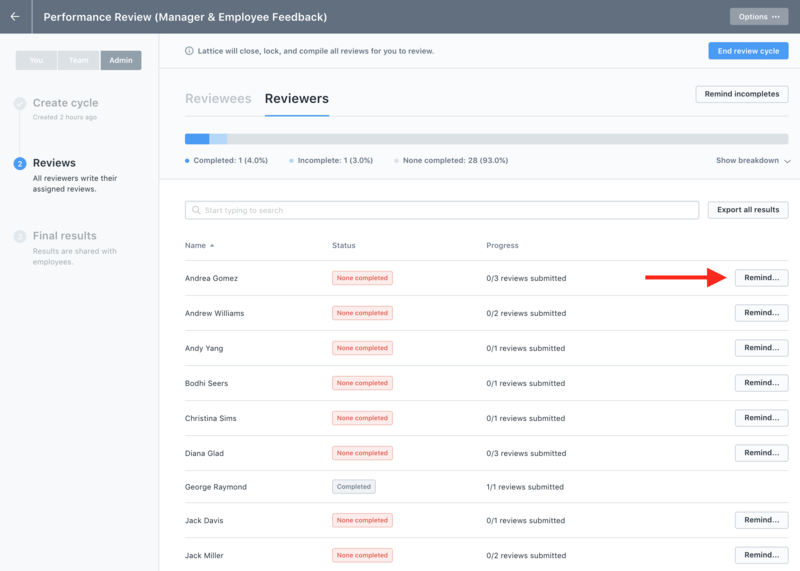 You'll have the option to remind all employees that haven't finished their reviews at once or you can choose to remind individual employees. 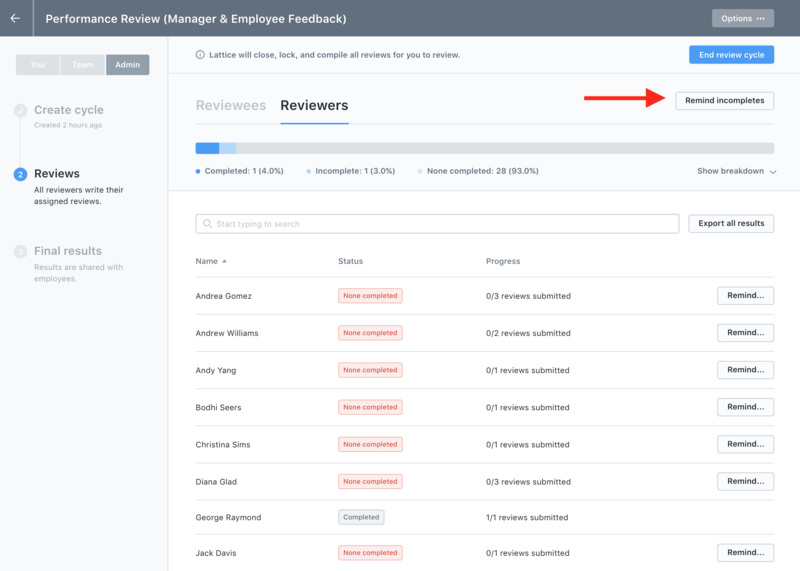 Here are the steps for reminding all incomplete reviewers (Note: a incomplete reviewer can be defined as a employee who has not completed all of their reviews). Step 3: Find the review cycle in question, and click "Manage cycle"
Want to use your own language? No problem--you can completely customize the email subject and body if you would like to. Like our template? Great--feel free to click the "Send reminder" email button and we'll send our standard template and you don't have to change a thing. This will send an email to all employees who have not completed their reviews. We'll also let them know who they still have outstanding reviews for. 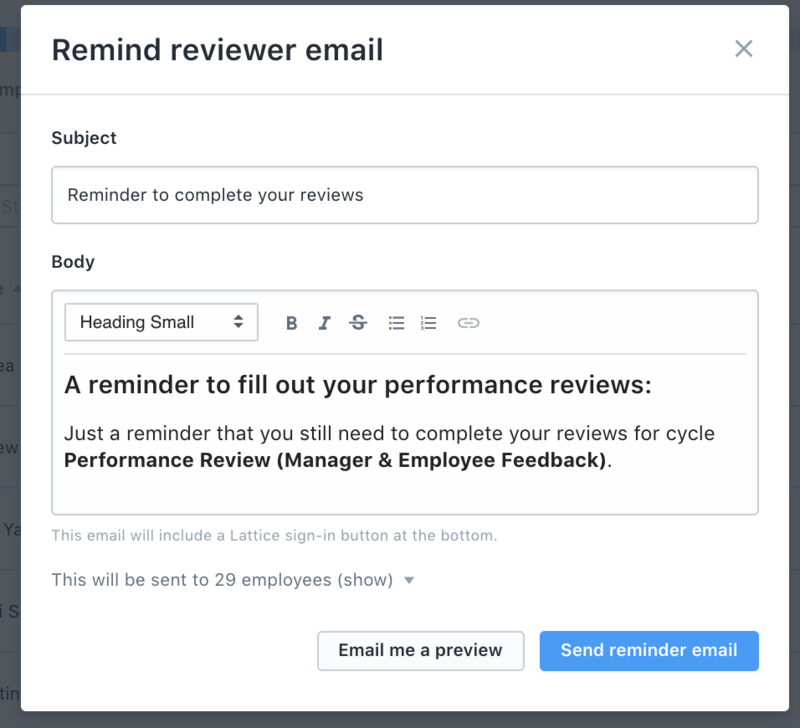 You also have the option to remind individual employees by clicking the Remind button next to their name in the Reviewers table. From there, the steps are exactly the same as reminding all incomplete reviewers. Note: Managers can also help remind incomplete reviewers. This article walks managers through that process.